GoPro just announced its two cameras i.e. the Hero 5 Black and the Hero 5 Session at the launch event of the company at Squaw Valley Ski Resort located in Northern California. The company’s first camera was announced in the year 2014. The Hero 5 Black and Hero 5 Session would be available at a price of $399 and $299 respectively from 2nd October 2016 to all of its customers. Both the devices have so many specs in common. The cameras are not only small and hence easy to carry and highly portable but also exhibit greatly improved features. The most exciting feature among all is that the devices are totally waterproof which makes them completely an ideal solution for underwater shooting up to 10 meters depth. 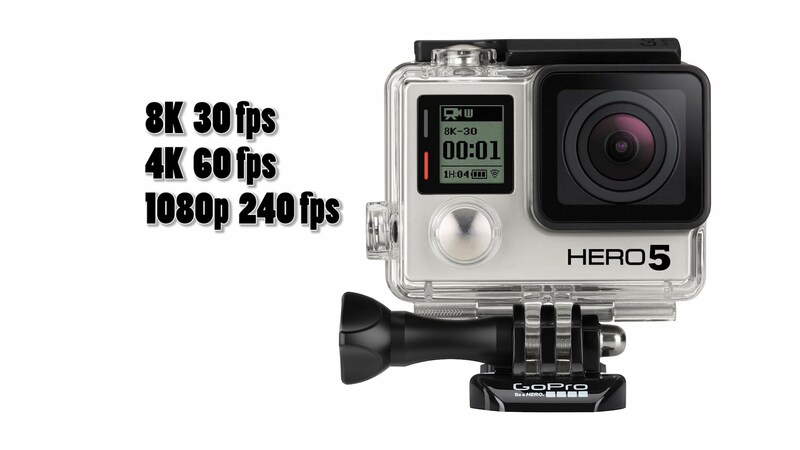 Along with these exciting features, it includes 4K video recording at a speed of 30 frames per second. The cameras have got a great feature by which the photos and videos are uploaded to the cloud automatically while charging the device. The cameras are so easy to use because of the one-button control system. Moreover, to ensure proper capturing of the videos and photographs without any mess, the camera has an electronic stabilization along with a seven language supported voice control system. The Hero 5 black camera has a 2-inch touch screen and can click photographs of 12 MP with various modes like the RAW and WDR mode. It supports not only stereo audio recording but also advanced reduction of wind noises with GPS and Linear View settings. The Hero 5 Black has a 1220 mAh lithium-ion rechargeable battery with USB type-C and micro HDMI port and microSD card slot. As compared to the Hero 5 Black, the Hero 5 Session has an only difference in pixels as it comes with 10MP and has a smaller compact design with smaller 1000 mAh lithium-ion-rechargeable battery. But like the Hero 5 Black, there is no screen, no photo modes like the RAW and WDR and no GPS supportability in the Hero 5 Session. Moreover, the Karma Drone is a smaller and compact option available to the customers which can be easily fitted inside a backpack. It can be easily fixed anywhere by the help of image-stabilization grip. It is highly portable. The GoPro by bringing all the stabilities to the cameras has made the cameras as “professional grade”. It is something that his highly unique. The Sony had just announced about one more stability in their cameras i.e. the mechanical image stability which would turn into a negative point for GoPro cameras.